My son and nephew are bow hunting a couple of timber patches and have seen some good deer on trail cam and in the first weekend of hunting. This big fat doe walked under my nephew last night about sunset. congrats on their success! I'm looking forward to a little of my own this month. Congrats, keep that freezer full. awesome you have taught them good. That's nice DD...a damn fine doe mate. I hope they thought of you mate. Which guy is who mate? They both have the look of "serviceman" about them...particularly the young fella holding the head. The one holding the head is my nephew. He is a Paramedic/Firefighter. My son on the right is the applying for OCC in the USMC. My son got his first bow kill this morning. Doe in the freezer and now he is trophy hunting. 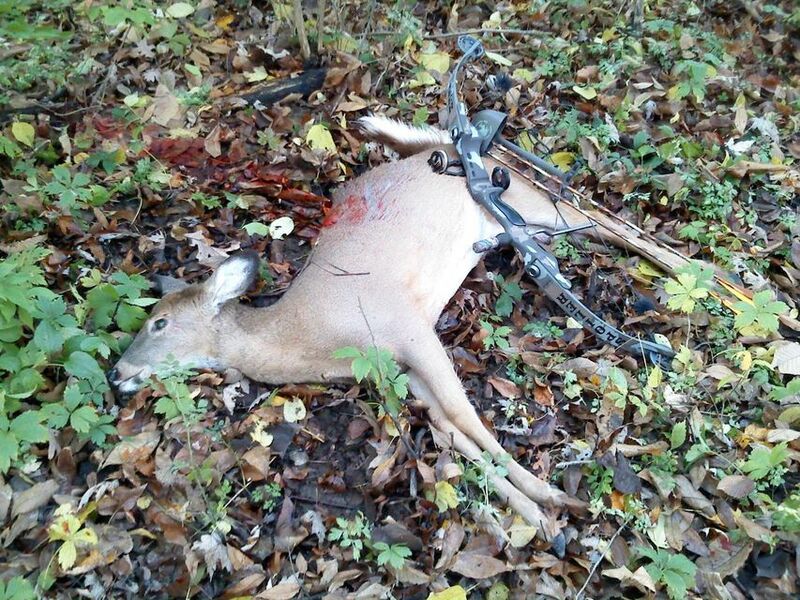 My son got his first bow kill this morning. Congrats! He has accomplished a feat that very few people have. Even though she's dead, she can still blow them a raspberry. Nice doe, how much did she weigh? To heck with the pups, it is the old mans turn. 200# 140" corn fed big boy. Oh very nice DawgD, quite a beefy one too!! I dont know about the old bit either. very nice animal, let us know how it tastes. Looks nice DD...real nice. Let us know when the BBQ is on mate. Good work Dawgdad! 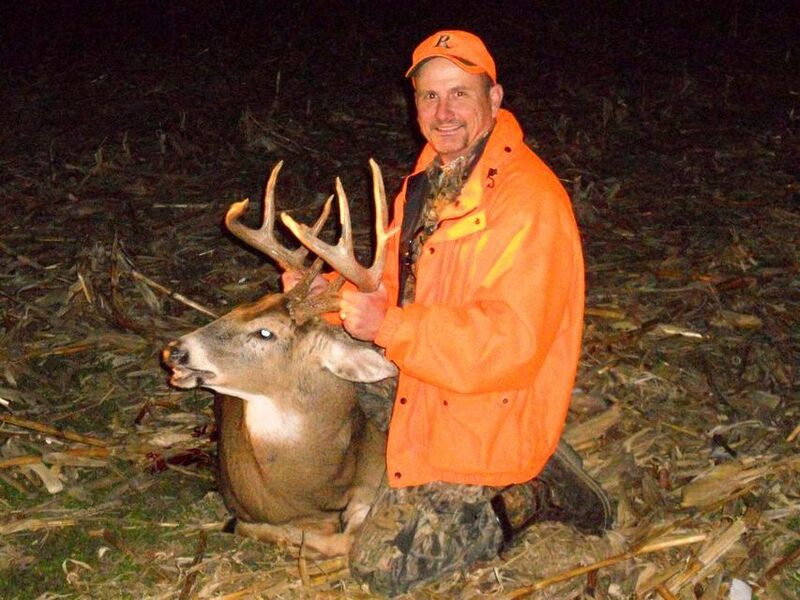 Very nice looking buck! Congrats! 200 pounds is a big one!